The race for phones with Qualcomm’s(s qcom) best mobile chip is on and it appears that LG will cross the finish line on Aug. 7. LG is teasing an event for that day, where it will likely introduce the G2, an Android(s goog) smartphone that uses Qualcomm’s top-of-the-line Snapdragon 800 chip. Current flagship phones such as the Samsung Galaxy S 4 and HTC One are powered by a Snapdragon 600. So what might a step up in the silicon department offer to customers of the G2? 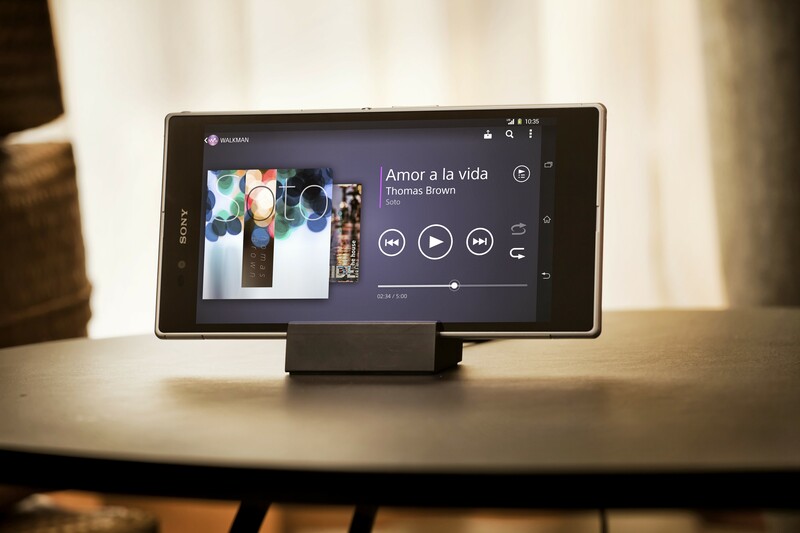 We already have a glimpse thanks the recently announced Sony(s sne) Xperia Z Ultra, a 6.4-inch phone (or is it a tablet?) that will also use the Snapdragon 800. That phone, thanks to the chip inside, will support encoding and decoding of 4K video, for example. That means if the camera sensor is capable, the G2 should be able to take video at four times the resolution of standard 1080p: up to 4,000 x 2,000 pixels. Still images up to 55 megapixels are also supported by the Snapdragon 800, although it’s unlikely the G2 would have a sensor above 20 megapixels. While LG hasn’t outed any specifics of the G2, aside from the choice of chip inside, the handset will surely be marketed as one of the most powerful and capable devices available. I can’t see LG going with anything but a 1080p display; my guess would be at least 5 inches in size. At least 2 GB of memory should be included, perhaps even three. And if I had to guess on the camera sensor, I’d say 18 megapixels combined with some advanced optics. This chip has the fastest potential clock cycle speeds of any other Snapdragon, which could contribute the battery running down quicker. That’s partially why I suspect a phone of at least 5 inches in size: The bigger the phone, the bigger the battery it can hold. We’ll see in about four weeks. For those of you whom find yourselves confused by the preceeding two posts discussing 4K and the arithmatic invloved, I have an alternate POV for you. 4K is a term coined in the film production industry; not the television and communication worlds. In the land of television and communications, 3840×2160 is actually referred to as Ultra High Definition, or “UHD”. The term “4K” refers to raw film for cinema and is produced at a native resolution of 4096×2160, or full raster (uncompressed-&-uncropped) resolution of 4096×3112. To sumize; phones may soon be shooting UHD, not 4K. All that math is irrelevant to the nomenclature. “Get your lingo correct and you’ll never be misunderstood…..” Cmdr. Mack Rain. 4k is 1920×2 by 1080×2 = 3840×2160 pixels it is not 4 times the resolution of 720p, it is two times the resolution of 1080p in each dimension so it is 2×2 = 4 times the total resolution in area. Yeah if it stuck to the same priciple of 1080 and 720p it should be called 2160p, but they changed it and now named it after the larger dimension of 3840 pixels and called it 4k. Comparing 4k to 720p would be. 3840×2160=8294400 pixels vs 1280×720= 921600. 8294400/921600 = 9 times the resolution. Just like the 1080p it 4k is 3840/1280= 3 times the height, and 2160/720= 3 times the width making it 3×3 = 9 times the pixels in total area. so 4k is 9 times 720p and 4 times 1080p. What they said is 100% true. Saying its 2x 1080 is wrong and even more wrong to say its 4x 720 as 1080 is not double 720 its 9/4 = 2.25 times more than 720. Exactly. And 720p, 1080p and 4k are also reffered to as HD, Full HD and Ultra HD respectivly. maybe a nexus 5 based on this ? 4k HD is only 4 times the resolution of 720P HD. It’s 2x the resolution of *both* the horizontal and vertical orientations. Instead of 1920 x 1080 res, which is 2.1 megapixels, 4K TV is 3840 x 2160 resolution, or 8.4 megapixels, i.e: 4x the number of pixels. 1080 HD: 1920×1080 = 2073600. 4k = 3840×2160 = 8294400. 8294400/2073600=4, Simple if the height and width are 2 times eachother than the total area pixes will be 2×2 = 4 times more.